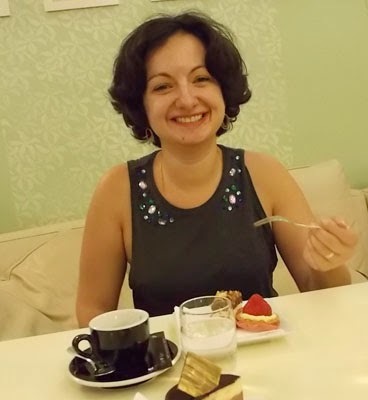 Suzanna Fatyan, one of Uzbekistan's finest tour guides, has contributed several pieces on this website about Samarkand as well as about Uzbek cuisine. In this article she describes the story of the mystical Hazrat Hyzr and his mosque in Samarkand. Samarkand has always been a place where real events are interlaced with myths and legends, and where historical personalities acquire some traits of fairy tale characters. This is the city where civilizations met and interlaced. By enriching each other, they created a unique mixture. Ancient cults evolved under the influence of new cultural trends and imbibed the most significant and impressive elements of different traditions, thus bringing together seemingly distant worlds. 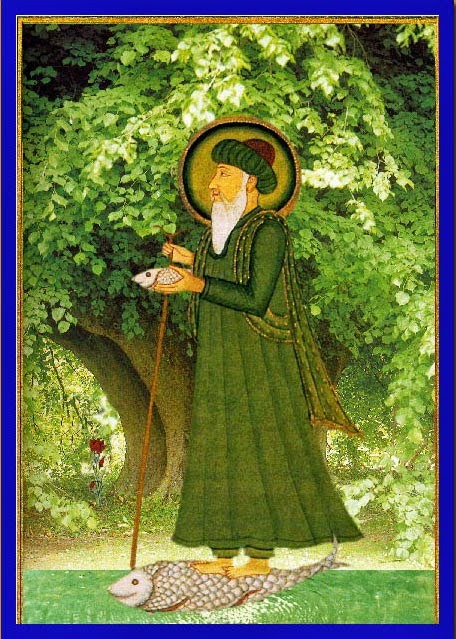 One such cult is associated with Hazrat Hyzr, (or Al Khadir), the mystical figure and patron saint of travellers. 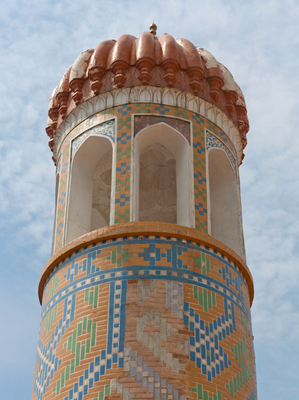 The Hazrat Hyzr mosque was erected in Samarkand in the 11th century and rebuilt in the 19th century. It is one of the most magical places in Samarkand. Hyrz is believed to have the faculty of reincarnation. You can recognise him only when you shake hands with him because Hyzr has no bone in his right thumb. This legend gave birth to another. Local dwellers think that the custom to shake hands first appeared in Samarkand, then spread all over the world. The striking personality of Hyzr has attracted the attention of many prominent scholars. V.Bartold, E.Bertels, M. Piotrovsky, and P. Franke wrote about him. The latter dedicated a whole book to Hyzr titled "Begegnungmit Khidr” (Encountering Khidr)", based on Arabic, Persian and Turkic sources. Articles about Hyzr are included in Islamic encyclopedias in different countries. According to legend, Hazrat Hyzr was a righteous person. Alongside Isa (Jesus), Idris (Enoch) and Ilyas (Elijah), he was one of the first men granted immortality and revelation. Hyzr is described as the spiritual guide of many prophets and his mission on earth is to inspire faith and hope in all people. Different versions feature Hyzr either as a real person, as a mythological personage, or as a mystic entity endowed with great spiritual strength and real power. Each of his hypostases is reflected in such literary works as Gilgamesh, Shahnameh, the Alexander Romance (about the mythical exploits of Alexander the Great) and also theological treaties and hadiths, the sayings of the prophet Mohammed. The image of Hyzr looks quite mystical in the hadiths: he is three cubits taller than a man of medium height; his footprint is one cubit long. He emits radiance and communicates with prophets; he sits at a green dining table laid by angels. In Central Asia, particularly in Samarkand, Hyzr is a pious old man, with no aureole of mysticism. If you wish to please him, you should treat him with the hospitality so characteristic to Uzbek people. In mythology, the world is divided into two parts: the visible and spiritual worlds. Hyzr is believed to exist in both worlds. According to legend, he lives on the islands, flies in the air, travels around the world, makes hajjes, and says his prayers in the mosques of Mecca, Medina and Jerusalem on Fridays. The name of Hyzr is not mentioned in the Koran, but Muslim scholars identify Hyzr with "the Servant of Allah", the personage of the Koranic parable of Moses’ travels (Surah 18, The Cave 60-82). That Surah states that Moses and Hyzr met at the junction of two seas, and they set out together. During the trip, Hyzr did some strange and inexplicable things that angered Moses. They boarded a ship and Hyzr made a hole in it; he restored a decrepit wall in the village where they were denied hospitality. Very soon it appeared that each of his acts was well-intentioned. Only he who is gifted with the ability of prophecy, can take the liberty of doing so. Thanks to Hyzr’s acts, the boat was not confiscated and remained in the hands of its owners. Hyzr knew that there was treasure underneath the wall and that over time, the wall would collapse again. When that happened the children of the righteous family would be mature enough to take the treasure and save themselves from death. Like discourse and acts of most of the Biblical and Koranic personages, those of Hyzr claim no understanding but absolute faith. People’s belief that Hyzr keeps working miracles is still alive. For example, it is now widely acknowledged that Hyzr saved the lives of 35 bus passengers in Turkey in 1968. The saint detained the bus, because he knew that the driver would die of a heart attack after a few minutes. A good many similar stories have been told. As a rule, their plots unfold in the presence of a great number of people. That is why Hyzr is often spoken about. The holy Hyzr is sometimes compared with St. George the Victorious, Elijah, Gilgamesh and Ahasuerus. The connection with the first three personages is based on their general aspiration to attain immortality. An affinity between Ahasuerus and Hyzr stems from their predestination to be the eternal wanderer. However, there is an essential distinction between them: Ahasuerus was punished for his callousness and denial of giving water to Jesus Christ on the way to his Crucifixion. Hyzr is endowed with wonderful strength and great power. He is capable of finding the fountain of the Water of Life to share it with people. He is allowed to present “loaves and fishes” to persons he meets. 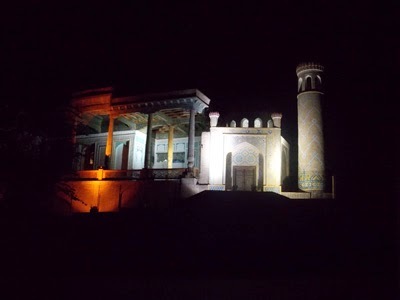 Hyzr is believed to have discovered the fountain of the Water of Life for Kussam-ibn-Abbas, a cousin of the prophet Muhammad, who is buried in Samarkand's necropolis Shah-i-Zindar. 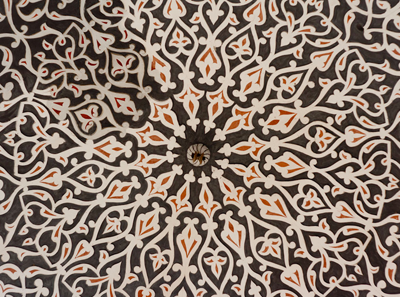 The Muslim interpretation of Hyzr presents a striking example of how the Islamic culture managed not only to preserve ancient mythological characters but also to recast them. In the Muslim tradition, the personage accumulates the traits of various mythological heroes, both of pre-Islamic Middle East and Slavic paganism. Some Turkic nations blended the names of two saints - Hyzr and Ilyas. That is how the spring festival Khidirles appeared. The name of Hyzr is also connected with the vegetable world. He is interpreted as a deity of rivers and wells in some countries; in others, he personifies the plant life bestowed by water. In Muslim countries there are shrines to Hyzr which incorporate vestiges of pre-Islamic worship of fertility deities. According to legend, grass appears at every place where Hyzr sits or steps. The shrines of Hyzr are integral to oriental civilization. Many people believe Hyzr accompanied the Twelfth Imam Muhammad al-Mahdi to Jamkaran, in Iran. In Samandag, Turkey, you can see a sacred stone erected on the site of the meeting of Hyzr and Moses. Hyzr mazars can be found in Sri-Lanka, Kuwait, Syria, and Jerusalem. After visiting Turkey in 1929, F.W. Hasluck, a British scholar, described Hidirlik Hill in his book Christianity and Islam under Sultans. The hill was named after Hyzr. Husluck also mentioned many domed structures constructed at the sites where the saint appeared to human eyes. I hope this article inspires you to visit the mosque of Hyzr in Samarkand. If you visit the mosque regularly and if you do good deeds, your hope to meet the saint may come true one day. Be kind to strangers, stop and show attention to them, treat them with respect as your dearest friends. Your action will make the world better, and if you are lucky and your stranger turns out to be the saint, your trip will be easy and successful, and your life will be filled with meaning and joy. Suzanna's article first appeared in the winter 2014 Uzbek Airways inflight magazine. Suzanna and Uzbek Journeys gratefully appreciate its permission to republish the article on this website.